At this point, I imagine that everyone who looks at my patterns regularly has already figured out that I like to come up with new shapes for cowls. And I do, mostly because scarves have become impractical now that my children can use them to try to strangle me (unintentionally, of course). So the Notched Front Cowl is yet another entry into my new-shapes-for-cowls canon, and one that can be styled a couple of different ways (see below for pics). 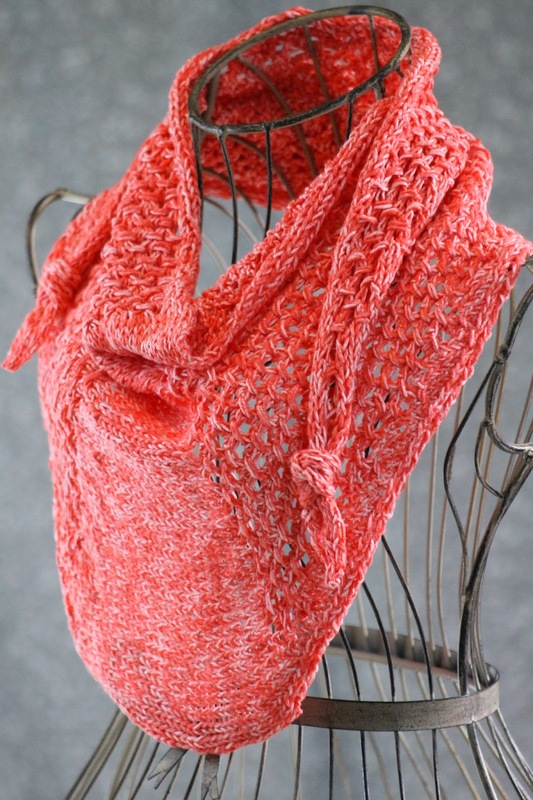 It's also a good design for those who have just begun to knit in the round, or who want more practice with basic increases and decreases. Buying this yarn was a no-brainer; I dig the Berroco Vintage line, and I will still swear that it's a lovely blend of gray and purple (even if my husband, and perhaps everyone else in the world, sees it as a lovely blend of gray and gray). However, it took me a long time to devise a pattern that seemed to suit it. 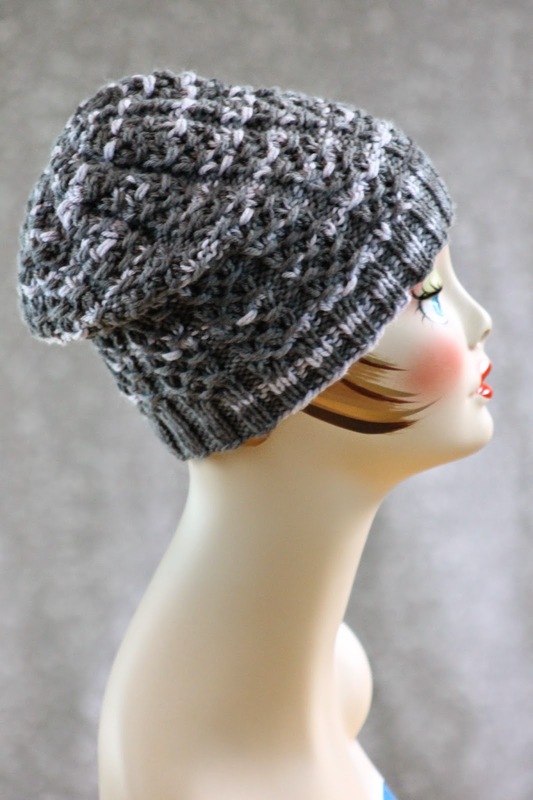 Fortunately, I think the Stepping Stones Beanie takes advantage of both the yarn's weight and its variegation, and would also make a suitable hat for either gender. 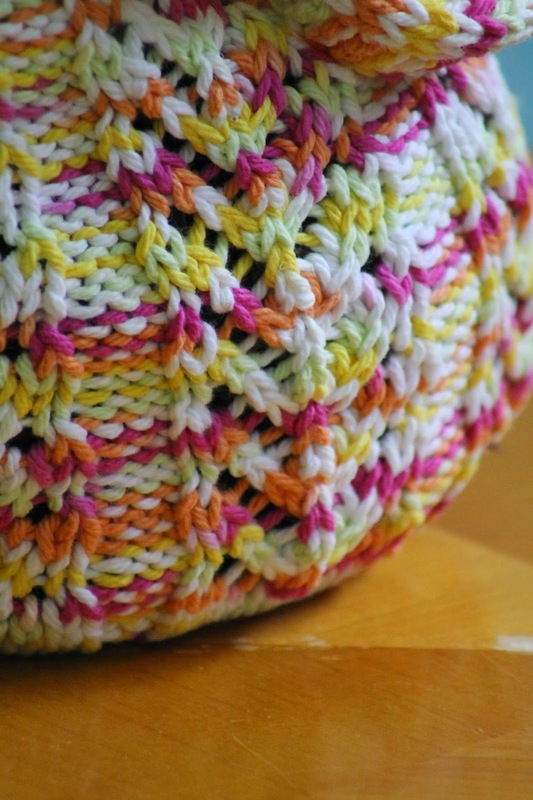 I would also love to see someone knit the main pattern in a larger needle - perhaps a 10 - to create an even slouchier design that really showed off the yarn overs (and if you do, I want pictures!). I was only a few rows into the Twin Leaf Cowl when I realized that I absolutely wanted to work with the yarn again, especially since it was on clearance at my local store and I didn't know how much longer it would be available. So I bought another color of the stuff, this (in my opinion) gorgeous red. Then, I held on to it for a few months until inspiration struck in the form of this scarf-like thing, the Star Cluster Mini Shawl. Long story short, I've had this item on my mind for a while, and I couldn't be happier about how it turned out! 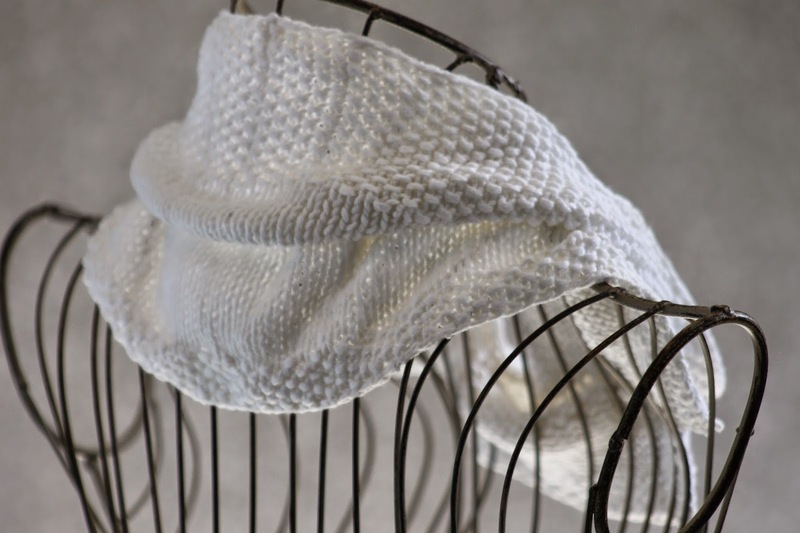 As a warning, however, this item does use a few intermediate techniques, such as a provisional cast on and some short rows. 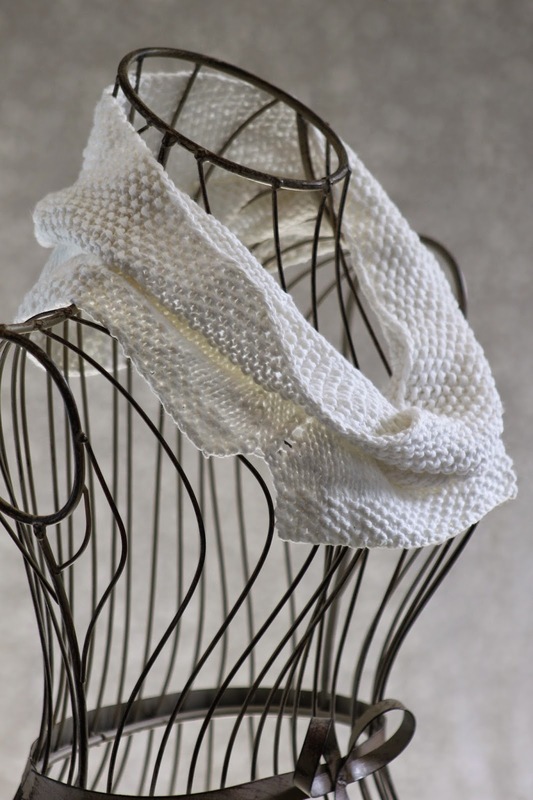 To make this piece, we're going to begin in the middle, work one half, and then pick up stitches from the middle to work the other half again (by using a provisional cast on, not by actually picking up stitches). 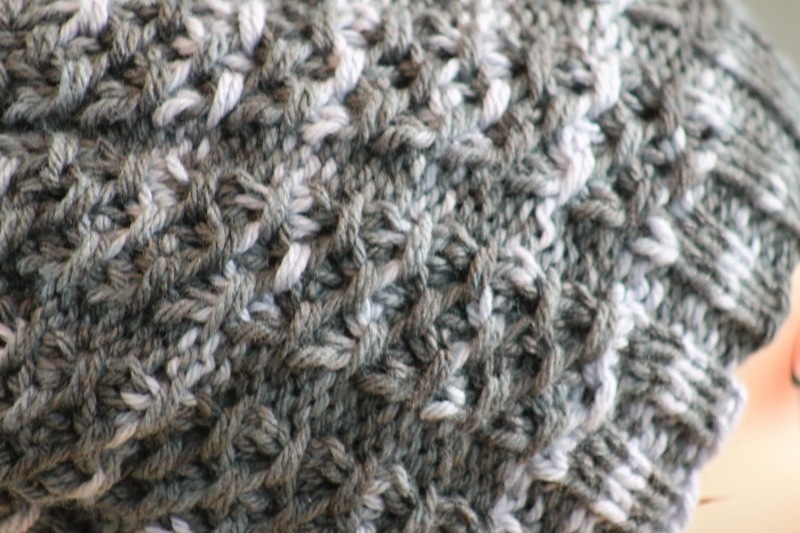 So, using your largest gauge needles and the provisional cast-on technique, cast on 71 stitches. 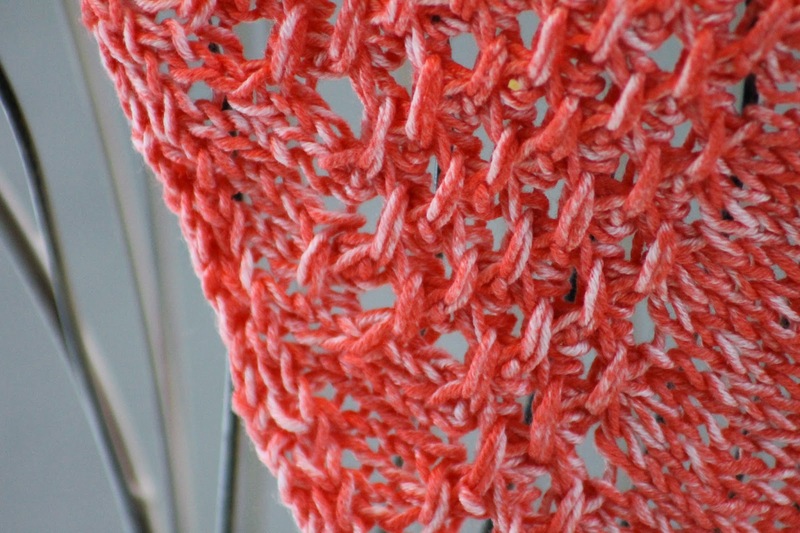 Then switch to your size 8 needles and purl one row cross. Once that's done, we'll begin our pattern, which features the Star Cluster from page 217 of Barbara G. Walker's A Second Treasury of Knitting Patterns and a decrease worked every odd row. First comes the terminology, and then the pattern. When I first considered the idea of making a bag like this one, I picked a lovely yarn that I knew would be perfect and started to design the thing in my head. Unfortunately, however, while I PICKED a yarn, I didn't actually BUY it, and it was gone by the next time I visited the shop. 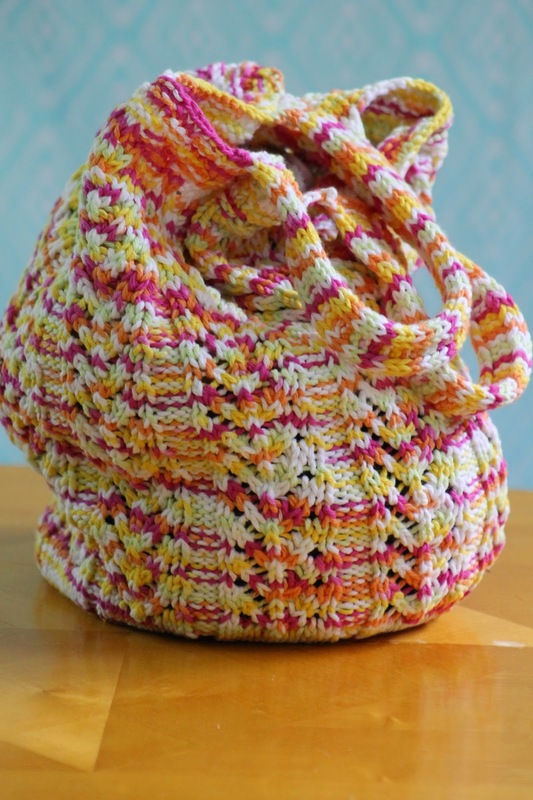 So the Chevron Market Bag is the redesigned version of my imaginary-yarn bag, not that you would know it in a glance. This bad boy turned out pretty striking on its own, after all, even if it might be a bit rainbow-y for some people's tastes (luckily, you can pick your own yarn!). Furthermore, while I knit this bag with a provisional cast-on and a three-needle bind off to attach the handles, I am providing two sets of instructions, one for a bag exactly like the one I made, and one for a bag that skips the provisional cast-on and seams the handles in place rather than attaching them with the three-needle bind off. So, it's your choice how you want to make it, and you'll find the second set of instructions following the first!